Cohost Andrew Huff read a few haiku at the March episode of Tuesday Funk. Bodies were an underlying theme in the 114th edition of Tuesday Funk on March 6. From abuse to disuse to idolization to reproduction, we heard it all in the upstairs lounge at Hopleaf. Award-winning author Tony Romano started us off with an excerpt from his novel, Where My Body Ends and the World Begins. Next, David Daskal read an essay about Barbra Streisand's cloned dogs and their implications for humanity, then Jasmine Davila shared a story about attending actor James "Spike" Marsters' 50th birthday party with dozens of superfans. After a break to refill our glasses, cohost Andrew Huff read a couple of his topical haiku, and Sahar Mustafah read a story about love and shisha. 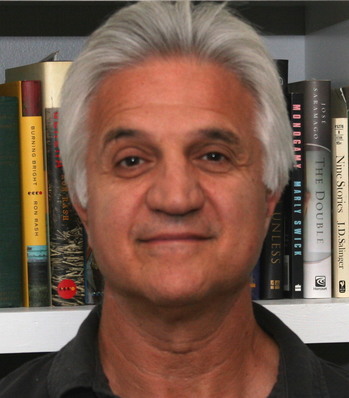 Finally, Billy Lombardo read part of an unpublished novel about unexpected childhood memories. Tuesday Funk will be back at Hopleaf on Tuesday, April 3, and we hope you'll join us as we feature readings by Tracy Harford-Porter, Beyza Ozer, Nestor Gomez, Kelly Swails and Ruben Quesada. See you there! Tuesday Funk #114 is tonight! March on into Hopleaf tonight (GET IT?) and check out some amazing writers! We've got one veteran and four brand new readers for you - David Daskal, Tony Romano, Sahar Mustafah, Billy Lombardo, and Ruben Quesada! Billy Lombardo is the author of three books of fiction: The Man with Two Arms, How to Hold a Woman, The Logic of a Rose: Chicago Stories, and one book of something else: Meanwhile, Roxy Mourns. He is a Nelson Algren Fiction Award winner and the founder and managing editor of Polyphony HS, a student-run, international literary magazine for high school writers and editors. He teaches English literature and creative writing at the Latin School of Chicago. Please join Billy and our other amazing readers on Tuesday, March 6, 2018 in the upstairs bar at Hopleaf. Doors open at 7pm, and the show starts at 7:30. It's free, and 21-and-over. RSVP on Facebook. 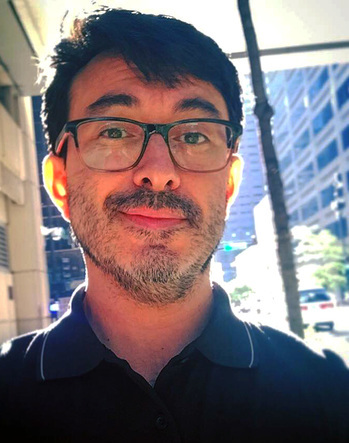 Ruben Quesada has taught writing, literature, and literary translation at Vermont College of Fine Arts and at Columbia College Chicago. He is the author of Next Extinct Mammal and Exiled from the Throne of Night: Selected Translations of Luis Cernuda. 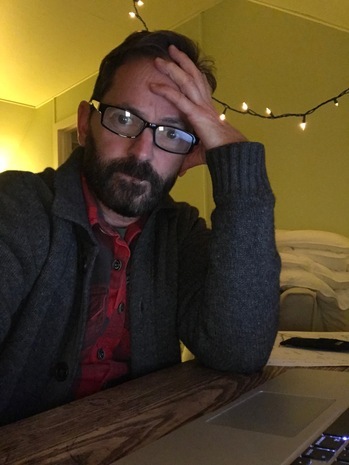 His writing and digital media have been featured at The Art Institute of Chicago, The Poetry Foundation, Oxford American, Ploughshares, TriQuarterly, The American Poetry Review and elsewhere. 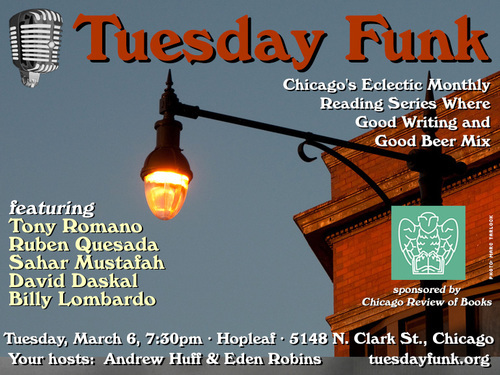 Please join Ruben and our other amazing readers on Tuesday, March 6, 2018 in the upstairs bar at Hopleaf. Doors open at 7pm, and the show starts at 7:30. It's free, and 21-and-over. RSVP on Facebook. 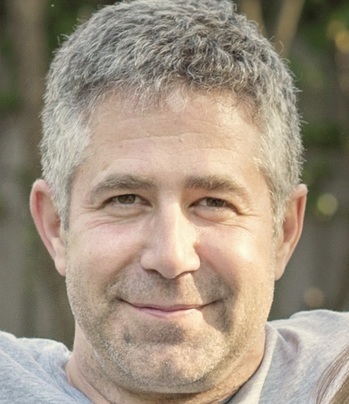 David Daskal is a writer, parent and jack of all careers. Now a recruiter, he has in past reincarnations been a public defender in Brooklyn, a waiter at Michael Jordan's original restaurant, the personal screener of Mayor Richard M. Daley's mail, and a tech salesman of the world's finest benefits communication tool. He used to perform monologues in various locations around Chicago. Please join David and our other amazing readers on Tuesday, March 6, 2018 in the upstairs bar at Hopleaf. Doors open at 7pm, and the show starts at 7:30. It's free, and 21-and-over. RSVP on Facebook. Tony Romano is the author of the novel, Where My Body Ends and the World Begins (Allium Press), When the World Was Young (HarperCollins) and the story collection, If You Eat, You Never Die (HarperCollins). He is also the coauthor of Expository Composition: Discovering Your Voice and coauthor or the text, Psychology and You. 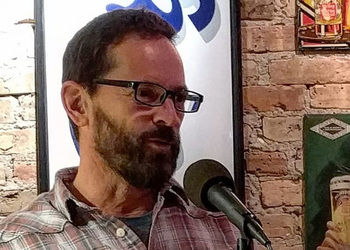 He was recently named Illinois Author of the Year by the Illinois Association for Teachers of English (IATE) and was honored with a Norman Mailer award. One of his story collections was a finalist in AWP's annual contest. He is a two-time winner of a PEN Syndicated Fiction Project award. Both stories were produced on National Public Radio's The Sound of Writing series and syndicated to newspapers nationwide. He lives near Chicago and writes about books, music, work, and family on his blog at tonyromanoauthor.com. Please join Tony and our other amazing readers on Tuesday, March 6, 2018 in the upstairs bar at Hopleaf. Doors open at 7pm, and the show starts at 7:30. It's free, and 21-and-over. RSVP on Facebook. 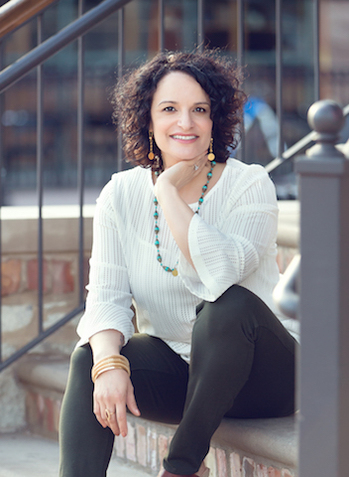 Sahar Mustafah is author of Code of the West, an award-winning short story collection. Her stories have earned a Distinguished Story citation from Best American Short Stories 2016 and two Pushcart Prize nominations, among other honors. She has served with Voices of Protest, an artist collaboration begun by Chicago's Guild Literary Complex, which seeks to promote the work of exiled writers and artists worldwide through the International Cities of Refuge Network. The daughter of Palestinian immigrants, Mustafah is drawn to stories of the silenced and invisible. She has taught wonderfully misunderstood teenagers in Illinois for over twenty years and is co-founder of Bird's Thumb, an online literary magazine. Please join Sahar and our other amazing readers on Tuesday, March 6, 2018 in the upstairs bar at Hopleaf. Doors open at 7pm, and the show starts at 7:30. It's free, and 21-and-over. RSVP on Facebook. Spring comes slowly to Chicago, but it'll be warm and welcoming at the 114th episode of Tuesday Funk! Plus, there's beer! Join us in the upstairs lounge at Hopleaf for another edition of Chicago's favorite eclectic monthly reading series, where we'll feature Tony Romano, Ruben Quesada, Sahar Mustafah, David Daskal and Billy Lombardo! As always, admission is free, but you must be 21 to attend. Doors open at 7pm sharp (don't dawdle if you want a seat!) and the show will start at 7:30pm. Please RSVP on Facebook -- and if you haven't yet, like our page so you get our announcements right in your stream. This page is an archive of recent entries in the Reading #114 category. Reading #113 is the previous category. Reading #115 is the next category.